What is the most basic form of protection you can give to your PC(s)? So that they stay safe against various security attacks? Yes, you guessed it right. It is the antivirus software. For those of you who are not sure what an antivirus software is, what it does, and how it operates, this article can serve as a starter lesson, and hopefully even make you install one on your PC(s). It's a software – just like any other – which (when installed) will protect your PC(s) against security threats. To be more precise, against viruses which infect computers. Antivirus acts as a sieve or a filter which filters out the bad files (virus infected) and allows only the good to pass through, thus ensuring your PC security. To give another analogy, it is similar to our real world security guards who stop strangers and let them into a building only after carrying out the appropriate checks. Antivirus, more or less, does the same job. How does a security guard ensure a stranger is harmless? By frisking or by running a metal detector over their bodies, right? In the same way, antivirus scans your PC(s) from time to time to ensure it stays virus-free; and in case it finds one, it takes the appropriate action. That is, it stops the virus from infecting your PC(s). How Does Antivirus Work Or Operate? Antivirus software uses different types of scans (signature-based, heuristics-based, behavior-based and cloud-based) to ensure your PC(s) are virus-free. 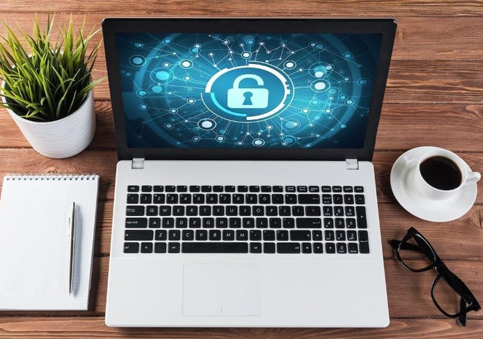 Simply put, it detects (and in some cases, like our Comodo Antivirus, prevents as well) and alarms PC users about the security threat so that they can take the appropriate action. Signature-Based Scanning: logging certain aspects of virus activities in a record and referring to it each time a file tries accessing your PC to check whether the file is exhibiting one of those already logged malicious virus activities in order to find out whether the file is harmful or not is known as signature-based scanning. Here signature refers to a signature which is unique to a particular virus. Antivirus packages will maintain a collection of such signatures belonging to various viruses and refer to them while scanning. This is probably the oldest form of scanning employed by antivirus software, which has since then evolved, and now makes use of other sophisticated technologies as well to capture viruses. Heuristics-Based Scanning: in simple language, heuristics means 'an educated guess'. Just as security guards equate a shady-looking character to be bad and allow them only after carrying out the necessary security checks, heuristics-based scanning is an educated guess taken by antivirus packages when they come across an obscure piece of code (in a file) and guess what would happen if it gets executed and take action accordingly. Based on the result, the antivirus software would either allow or disallow the file from entering the PC. Behavior-Based Scanning: in this type of scanning, the antivirus, instead of making an educated guess, makes a behavior-based guess. Just as security guards 'who are not paying attention to the shady-looks of strangers' stop them just because they are 'trying to enter the building,'. in the same way , the antivirus packages execute the malicious-looking code rather than just trying to guess what would happen if it gets executed. In other words, they act rather than just observe based on behavior. Based on the result, antivirus software would take the action which is best for your PC. Cloud-Based Scanning: the most advanced scanning technique being employed by antivirus packages of today. In this case, antiviruses collect the data from your PC(s) and upload it to the provider's infrastructure (which is online) instead of performing the analysis locally. Since the provider's infrastructure is online, it is learning about virus signatures pretty fast, as they surface, and therefore will be able to provide a quick solution to your PC's problems. This type is generally not available with free antivirus versions. You have to buy the paid version. But is available for free with Comodo. Is Antivirus Protection Alone Enough? Unfortunately, the answer is NO. Because we no longer live in an age where viruses are the only security threats our PC(s) . There's the ever-evolving modern-day malware as well (which takes different forms and shapesof which ransomware seems to be the most dangerous at the moment) which needs to be tackled. And to do this PC users need the whole internet security package.